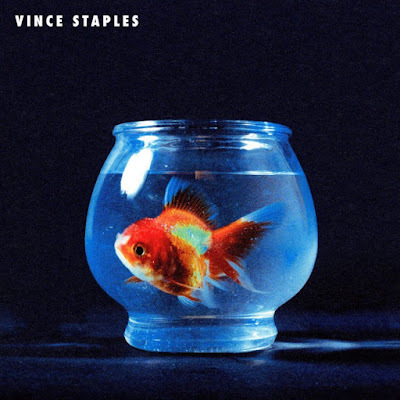 Vince Staples has announced that his new album, Big Fish Theory, will be out next month. Take a look at the cover, above. Speaking to NME, Deftones' Chino Moreno has said that the band are already thinking about the followup to last year's, Gore. "We know each other oh so well and for so many years that it's comforting. We grew up in the same neighborhood, spending every day in the garage together, at school, after school. Then, ten, fifteen, twenty years later, we're all grown adults with children living in different cities — so when we go back on tour it's like we get to go back to clubhouse," he said. "When we make records, we don't really talk about what we're trying to do or what our ideas are for it — we kind of just go in and make music. That's what keeps it fresh for us. We don't try to box ourselves in to these pre-conceived ideas, but we have talked about getting together sooner rather than later to start making noise together — just out of pure excitement of creating music."